Shopping for a new Toyota or used vehicle for sale in Milwaukee, WI should be a fun and exciting experience, not a stressful one. Let the professionals at Andrew Toyota show you just how enjoyable finding the perfect new or used car, van, truck, SUV, crossover or hybrid can be. At Andrew Toyota our business is about so much more than just selling new and used vehicles, it’s about helping people find reliable and safe transportation they truly love. At the end of the day, every Andrew Toyota team member is a mother, father, son, daughter, friend and neighbor just like you, so we know how important it is to be able to have a trusted place to shop. To get started today, feel free to browse around our website and explore all of our many options to make finding the vehicle of your dreams easier than ever. In fact, we not only offer a great selection of vehicles to shop from, but we also offer a full team of finance and service professionals to handle any automotive need. If at any point you have a question for us, please do not hesitate to reach out and contact an Andrew Toyota professional online or by phone at (414) 228-1450 today! When you are in the market for an incredible new or used car around Milwaukee, WI or the surrounding areas, then there is no place to do your shopping quite like Andrew Toyota. Here, we have made it our goal to bring more customers the best selection of new and used models that will make your car shopping experience unique. With our commitment to the best customer service possible, drivers in Glendale, WI and Mequon will see first-hand what makes our dealership the place to be. Make the trip over to our dealership today and see exactly why shopping for a car with us is special. Here our staff members make it easy to get the car you want with the help you need! We will make it easy for you to take notice of everything we offer, be it a new Toyota model or a used model, our staff will make it easy to get a car that will fit all of your needs and budget. These models are some of the most impressive options around and will ensure you get a car that is more enjoyable to drive on any terrain. No matter what you are looking for, there will be something perfect for you! Sure, we are able to offer you some absolutely amazing new and used models, but what we do to really stand out is bring you services that make shopping here easier. Whether you need help finding an auto loan or lease, or you are coming here to get your car serviced or repaired, we have staff members who are ready to help. We will work hard to bring drivers of all types the most well-rounded and complete shopping experiences. When you make your way over to Andrew Toyota to do your car shopping and make owning your car easier, you will quickly see that our dealership is the premier place to shop. Visit us today and see exactly why West Milwaukee driver choose to shop here. See you soon! A new Toyota vehicle for sale in Milwaukee, WI is a great value for any driver. Our new Toyota inventory offers options from some of the industry’s most popular and highest rated vehicles like the Toyota Corolla, Camry, Prius Hybrid, Tacoma, Highlander and more! 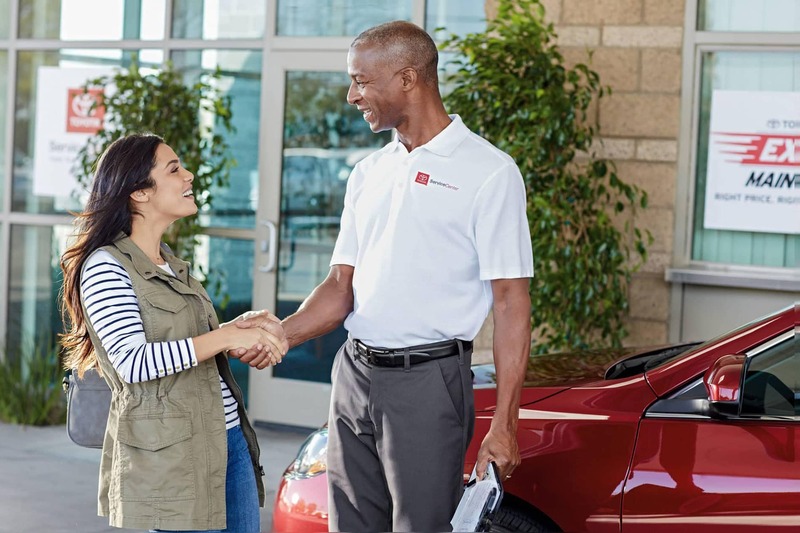 For shoppers still looking to learn more about Toyota’s great options, the Andrew Toyota professional sales team is here to provide answers to any model questions in full detail. Browse our complete new Toyota vehicle inventory for sale in Milwaukee, WI online today to find which model is right for you! Once you have found which vehicle you are interested in, schedule a test drive online in Milwaukee, WI and we can have any vehicle ready and waiting for you whenever works best! For drivers looking to purchase pre-owned, the used car lot at Andrew Toyota is a great value for any vehicle shopper. Our pre-owned vehicles for sale in Milwaukee, WI features many gently used models ranging from the most popular brands across the industry. Compare similar models all side-by-side in one convenient location! For even more value, be sure to view the Andrew Toyota Certified Pre-Owned vehicle options today and enjoy the extra peace-of-mind of Toyota’s strict certification process. Deciding on the right dealership to shop with is just as important as deciding which vehicle to purchase. Here at Andrew Toyota, we know that our car shoppers have a big decision when it comes to finding which model is right for them and we are here every step of the way! No games, no hassles, no gimmicks or tricks, just honesty and old-fashion business values. In fact, we even offer professional finance and service departments to handle any and all automotive needs. Visit the Andrew Toyota Finance professionals online to estimate any vehicle’s payment options, apply for financing and value your current vehicle’s trade in worth. Our finance professionals have been helping people drive the vehicle of their dreams for many years and we would love to show you just how enjoyable working with caring professionals can be! Maybe it’s not quite time for a new vehicle and the one you drive just needs a little bit of extra attention? The Andrew Toyota Service Department can help! We feature a full team of dedicated and professional vehicle mechanics ready to get your vehicle up and running with quality vehicle service! Visit the Andrew Toyota Service department online today to learn about all that we can offer!